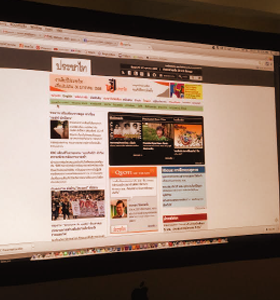 The Foundation for Community Educational Media (FCEM) was registered on January 13th, 2006, in Thailand as a foundation to promote freedom of expression and to enhance democracy, human rights, and social justice by providing a platform for alternative media and building media literacy capacity, and access to information on social, cultural, and political issues. FCEM aims to evolve into a ‘media hub’ that builds a society in Thailand and ASEAN in which all citizens enjoy freedom of expression, diversity of media, investigative reporting, democracy and good governance. The Foundation for Community Educational Media has continuously operated as a not-for-profit organization for the benefit of the general public. We have built a reputation for strong expertise and capacity to support the development of the media sector in Thailand on issues such as freedom and professionalism of the media, human rights, and monitoring of governance. 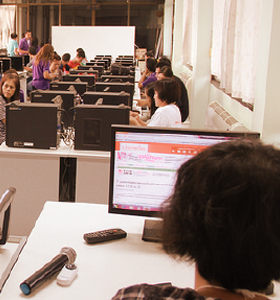 FCEM is rare among media organizations in Thailand in its systematic and endless efforts to train underdeveloped media and civil society organizations outside of Bangkok (in the North, Northeast, and South of Thailand). FCEM also benefits through its unique access to local organizations working with small communities, giving voice to these communities. 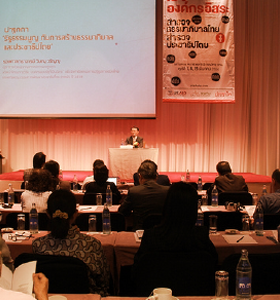 In addition, FCEM partners with various organizations such as major national alternative media outlets, journalists in mainstream media houses, well-known academics in all regions of Thailand, civil society activists, and intellectuals. In recent years, we also have begun to work more closely with major academic institutions to open public forums. 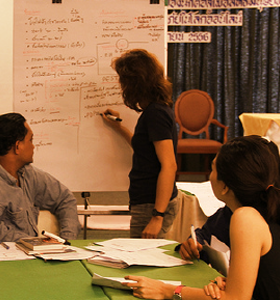 For example, we work with Khon Kaen University (KKU) to build organizational management and civil society communication. In the future, we will expand our networks and cooperation in ASEAN community. FCEM will build upon this strong foundation of experience, skills and reputation in the coming years. We will continue to focus on creating a more open media environment based on our mission and vision.